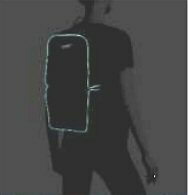 This one-of-a-kind medium sized backpack comes with a rechargeable (2,200 mAh) battery that can act as a power bank for your personal electronic devices AND can be used to make the led piping of the back pack light up for increased visibility at night. 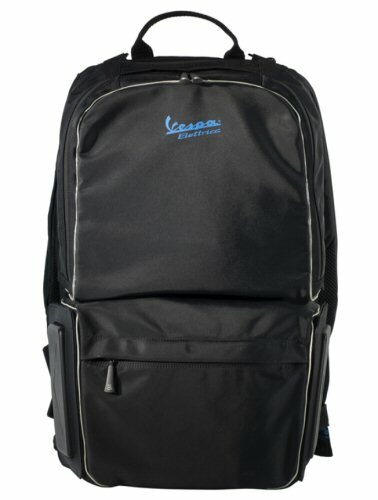 Made from high strength Nylon material with water repellent treatment. 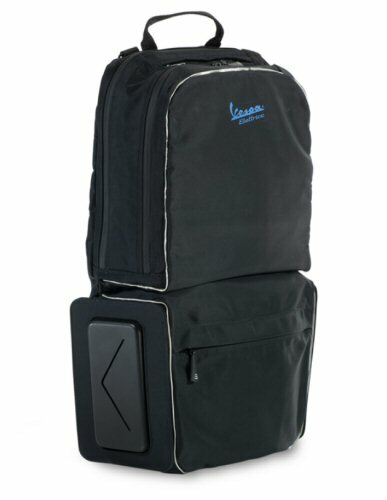 Rubberized zippers with Vespa logos on the pullers. 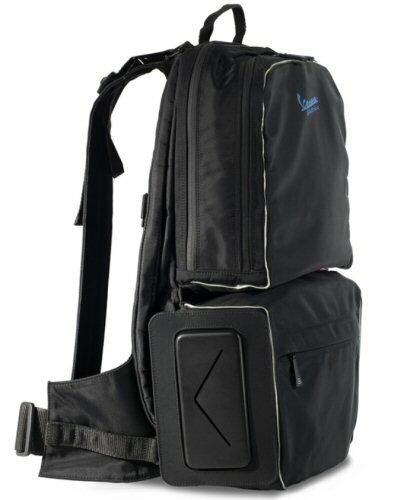 Includes helmet holder net in removable mesh (only possible to use this when both the upper and lower portion of the bag are removed from the back protector). This (mostly Italian language) document in .pdf format explains some additional bag features.